Passed away peacefully with family by his side at Headwaters Health Care Centre on Thursday, November 15, 2018 in his 89th year. Beloved husband of 63 years to Leona. Loving father of Terry (Barb), Dana (Wendy), Lynnette (Dan) McIntyre, Paul (Jana) and Leanne (Jamie) Doig. Cherished grandpa of Michelle (Skee), Heather (Diptesh), Carley (Taylor), Andrew (Janelle), Ryan (Kristi), Jesse (Jill), Emma (Rob), Eric, Evan, Dakota, Dylan, Jordan, Zackary, Leighton, Aidan and Devan. Great-grandfather of Hana, Makayla, Matthew, Nathan, Sadie, Lauren, Savannah, Nicholas and Gracie. Predeceased by his grandson Kyle, his parents Roy and Annie Prentice, his sisters Edna and Dorothy and his brothers Harold and George. The funeral service will be held in the Jack & Thompson Funeral Home chapel in Shelburne on Sunday, November 18, 2018 at 1:00 p.m. A come and go reception and visitation will take place at the Royal Canadian Legion, Branch 220 on Sunday from 2-5 p.m. Everyone is welcome to attend either or both. There will be a private family interment at Honeywood Cemetery at a later date. If desired, donations to Honeywood Minor Hockey Association, Honeywood Arena, Honeywood Cemetery or Badjeros United Church would be appreciated. The Family will not be receiving friends prior to the service, but invite you to the Shelburne Legion afterwards for the reception and visitation. A private family interment at Honeywood Cemetery at a later date. 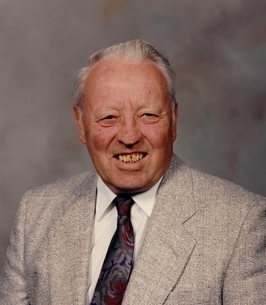 A come and go reception and visitation will take place at the Royal Canadian Legion, Branch 220 on Sunday from 2-5 p.m.
We are so sorry to learn of Norm's passing. The Community has loss a long time member who we know will be truly missed. Our thoughts and sympathy are with you Leona and Family at this difficult time. Memories last forever, hold them tight. I'm sorry about your loss, Leona. He will be missed by all, the community as well as sorely by you. A Donation has been made to the Honeywood Minor Hockey Assoc. in Norm's Memory. Thinking of all of the Prentice family and all the great memories. Thinking of you all. Sorry I’m not able to be there. Leona and family My sincere condolences with the passing of Norm. I am sorry I can’t attend the service but I will be thinking of you all. Thinking of you at this difficult time. So sorry we couldnt be there in person to pay our respects but you are in our thoughts and prayers.